Why Do I need a form landing page? Whether I am working on a new website build, or an established site, I recommend an appealing but simple, clutter-free landing page with a form. Depending on the type of business I am working with, a submission form of some sort is essential. Ok, so my site needs a landing page form, but how do I set it up? It is no secret that Amay Web Design recommends, and uses, WPForms. We love the drag and drop feature of WPForms. Building submission forms are quick and easy meaning even our less tech savvy clients are able to look after and edit their own forms, with minimal tutoring from us. When it comes to setting up the landing page, this can be a whole different story, it takes time build the landing page, to decide on the page layout, design, colours etc. Most times this is beyond the technical skills of my clients. I am excited to share that with the release of “Distraction Free” Form Landing Pages by WPForms, I anticipate it will be a game changer for my clients, allowing them to easily create and/or edit form landing pages for themselves. “But wait!” I hear you say, “aren’t you doing yourself out of a job?” Well the answer is yes, and no. Yes, it will make it easier for my clients to work on their own sites, but that’s the point ! 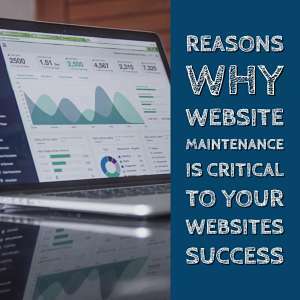 I have always tried to build websites that not only look fantastic and bring in sales, but a site that my clients are able to work on themselves if they choose to. If they don’t have the time or inclination, I am here. Now for the exciting bit - let's talk about Form Landing Pages by WPForms. With Form Pages, you can quickly create an appealing custom landing page for any of your WordPress forms by simply enabling the Form Page Mode from your Form Settings. Your landing page is ready! Want more info? Sure, take a look at Landing Pages by WPForms here, or view a Demo or Purchase Now!